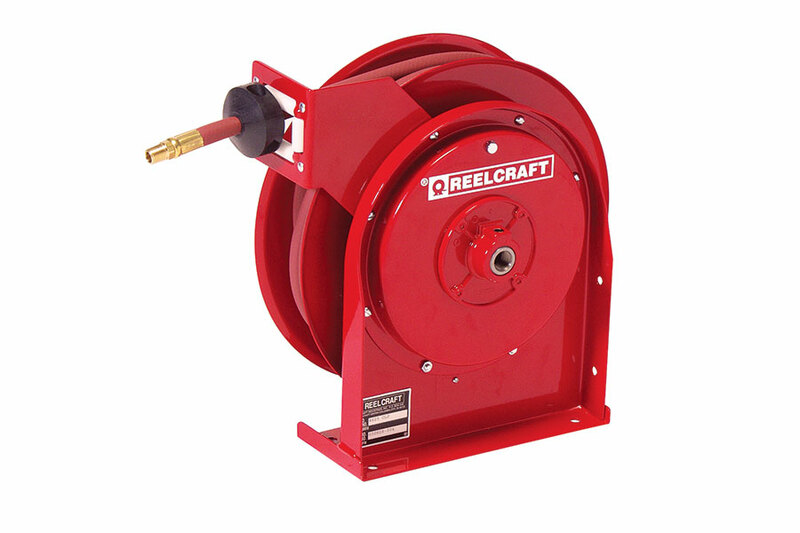 Durable and compact, these reels offer full flow shaft and swivel to assure maximum air or water delivery. 300 psi hose. Air/water hose included.